A NEW PHAIDON MONOGRAPH EXPLORES THE WORK OF SELLDORF ARCHITECTS THROUGH PHOTOGRAPHS CAPTURED BY TODD EBERLE. The new Phaidon monograph of Selldorf Architects has been a year in the making, but its subject matter has been gestating for decades. A reflection of an ongoing dialogue between the practice’s founder and principal, Annabelle Selldorf, and photographer Todd Eberle, the hardcover tome—which includes an essay by Surface contributing editor Ian Volner—showcases a selection of the firm’s work as captured by Eberle. Selldorf established her eponymous studio in 1988, and it has since become the go-to for the top rungs of the art world. 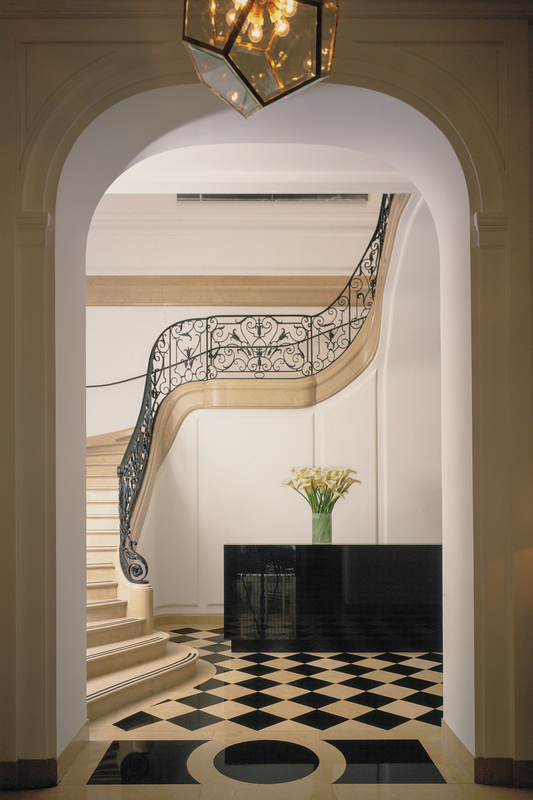 Vaulted to notoriety with the lauded renovation of the Neue Galerie on New York’s Upper East Side—photographed by Eberle for W magazine in 2001— Selldorf’s firm has consistently designed spaces for encounters with art, marked by an unwavering attention to the supremacy of light, integrity of structure, and restraint over gesture. She initially met Eberle in the early ’90s. The pair became fast friends and have worked together ever since. The relationship between their respective crafts is so notable that Eberle admits an interior shot he had taken of one of her practice’s first major public commissions, the Neue Galerie, subconsciously informed a similarly composed image in the John Hay Library at Brown University a decade later. Selldorf’s portfolio features an impressive list of environments for showcasing art, including galleries for power players like David Zwirner, Barbara Gladstone, and Hauser & Wirth, an office for former Sotheby’s auctioneer Tobias Meyer in Mies van der Rohe’s Seagram Building, and several homes for prominent collectors. The firm is just as accomplished in institutional spaces, with projects including the complete redesign of the Clark Art Institute in Williamstown, Massachusetts and the currently-in-design Museum of Contemporary Art San Diego. Another standout, the recently-completed Sims Sunset Park Material Recovery Center in Brooklyn, shows an aptitude for public buildings as well. One could say Selldorf has built spaces for the full life cycle of art: where it is exhibited, where it is sold, the houses and apartments where people create and live with works, the biennales where it goes on vacation, and even where the art world recycles its Campbell’s soup cans. (Okay, the last one’s a bit of a stretch, but still.) And so, like a fashion photographer with his muse, Eberle shoots them with a precise treatment, as perfectly lit as a Duchampian ready-made. Since then, Eberle has developed techniques that make his photography stand out, like using a perspective-correction lens and then stitching the multiple images together to capture almost impossible vantage points and perspectives. Each of his photographs is its own reality—and not necessarily a realistic one. Selldorf notes that it’s something she has always appreciated about his work. As a means of understanding the specificity of Eberle’s eye, the Selldorf Architects book is separated into a lush 100-page color photograph section followed by more restrained black-and-white images paired with concise project descriptions. His photographs almost look like paintings, which is ironic, since he was kicked out of art school at Cooper Union for skipping his foundation art classes (at least the ones that lacked photography), instead opting for time in the dark rooms. The hours spent there came full circle when he shot the skylights of Selldorf Architects’ 19th Street Zwirner gallery, which were modeled after the Cooper Union Foundation building. 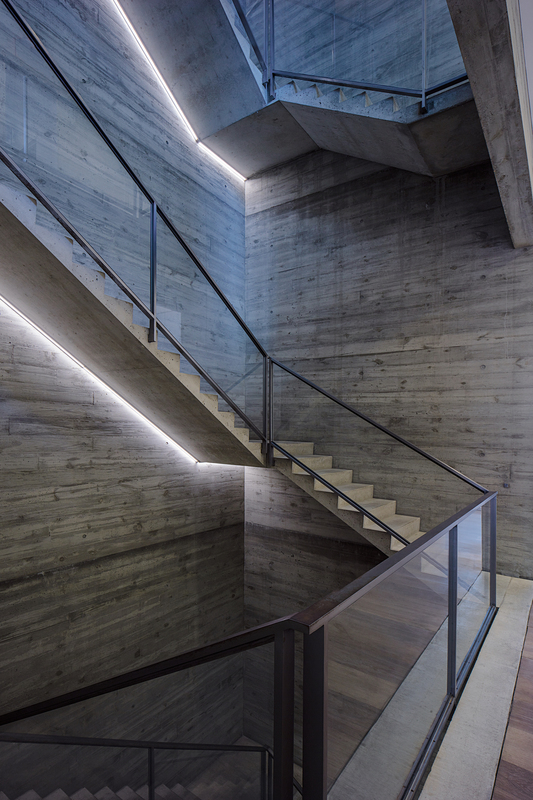 (Selldorf Architects also designed Zwirner’s newer 20th Street space.) Photographing the gallery gave Eberle a déjà-vu recollection of a very particular quality of light—one that figures prominently in many photographs throughout the book. Like any great partnership, the nature of this collaboration was not without its disagreements. But those seem to have only been enriched by Selldorf’s refreshing sense of modesty. The result is a volume that reflects a gradual evolution in both photography and architecture—and the careers of these two exceptional talents—revealing a meticulousness to their respective practices.